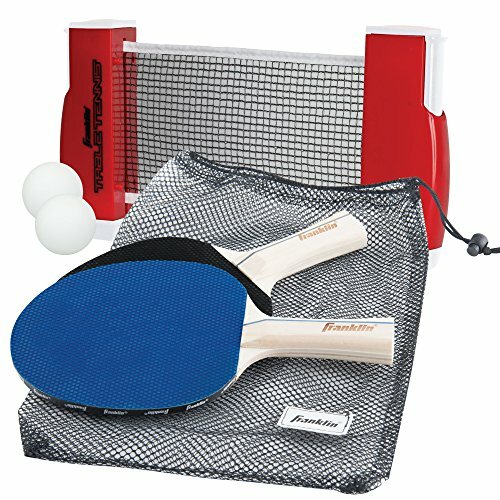 Franklin sports table tennis to go is perfect for the table tennis player on the go. It includes 2 paddles, 2 balls, expandable/retractable net with post that opens to 6.25 feet and a mesh carry bag to tote the equipment. It attaches to a surface area measuring 75 wide and 1.75-Inch thick.